Reading is a journey, a road to discovery, and can take us to many places. I love how Fran's latest display captures this. 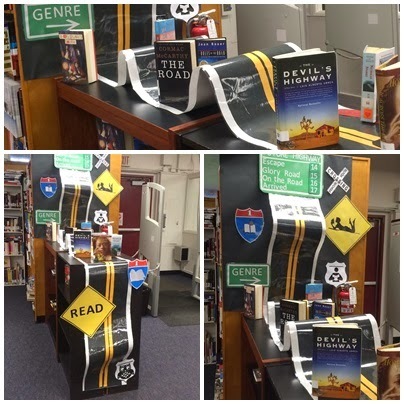 She has used a highway as her centerpiece with themed 'road signs' and selected books about journeys. It's the Highway to the Future! Hi Jennifer Fran says she made it with poster paper that she had at school and then laminated it. Hope this helps.